Eric A. Lerner is an Associate in the Litigation & Dispute Resolution Practice Group. He focuses on commercial litigation and intellectual property. 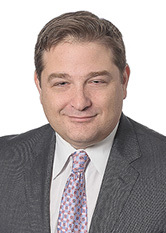 Mr. Lerner has extensive experience in federal litigation including prosecuting or defending claims for patent infringement, trademark and trade dress infringement, trade secret misappropriation, breach of contract, fraud and breach of fiduciary duty. Within the field of patent law, Mr. Lerner is skilled in complex patent prosecution and litigation in electronic, mechanical and chemical technologies and has been instrumental in developing winning infringement and non-infringement analysis and strategies. He has also frequently provided freedom to operate opinions and advised on IP issues.